Greg Frucci - Greg Frucci is a published Author and Artist in multiple areas. A graduate with honors of Carnegie Mellon University with a Bachelor of Architecture, he started his Architecture career working for a firm in North Carolina, ran his own sole proprietorship for nine years and later moved to San Francisco, CA where he worked in large Architecture firms. 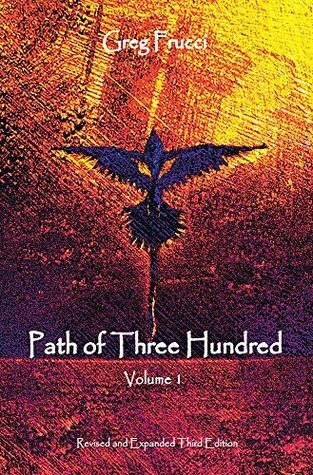 Upon my return from a solo sailing adventure of almost two thousand miles across open ocean where I single-handed a thirty foot sailboat from Wilmington, North Carolina to Bermuda and back, I began writing "Path of Three Hundred". If I had taken a direct route there and back, the trip would have been around fifteen hundred miles, but I took the long way home from Bermuda back to Wilmington sailing halfway to the Bahamas before turning west to Florida, then more north back to North Carolina due to weather conditions at sea.I felt compelled to write the book because of the transformation of self while being at sea through the physical challenges I faced while alone. There is no place to "pull over" out there. There is no one to take the helm so that I could rest when tired or hungry. Eight days of sailing to get to Bermuda and nine days of sailing back to Wilmington. I experienced storms, the Bermuda Triangle and beautiful wonders of Nature unlike anything I can ever rememberd I want to go backme day, I will again as I miss the sea even as I write these words.As I wrote the book, I became a hermit. Going to work at my "normal job", coming home to my sailboat where I live with my dog, Lucky, walking him and writing. Waking up the next day to write and repeat the processr six months. I began writing the story of the adventure in the first person, however something about the story was a bit dry. I had been reading Paulo Coehlo's books and love the storytelling way in which he writes, so I made a creative decision to write in the third person. I even changed most of the character names including my own. An interesting thing happened in the process. While I was writing what other people were saying about this man, Petah (me), I began to feel those others and become them. Specifically one chapter, " Three to the East" where I was battling an intense Gale Storm, people were freaking out on land as they could see me sail into the middle of the stormmething I did not know at the time. As I wrote what I was told by those others, I could feel their anxiety as I felt the anxiety of the sailor at seawild.I loved the process of writing "Path of Three Hundred" for so many reasons, but the one which sticks in my mind now is being able to keep fresh the images of sailing across the open ocean. The beauty of out there is quite speciala place which will always draw me into it's core.